There’s nothing that freaks new parents out more than finances. Along with a baby comes a whole new set of expenses for things they need right now (endless diapers, wipes, onesies) to what they’ll need down the road (childcare, college tuition). SparkGift is a meaningful way to welcome a new baby that new parents will appreciate big time… This investing service makes it simple to give stocks and index funds as gifts, for as low as $20. Select a stock or index fund within the SparkGift platform and enter the recipient’s name and email. Then SparkGift sends a gift certificate (charging the sender a $2.95 fee for gifts up to $100 and a 4% fee for gifts above $100). The recipient (well, actually the recipient’s mom or dad) is instructed on how to set up a brokerage account or add to an existing account. The shares appear in the recipient’s brokerage account within two to three business days. 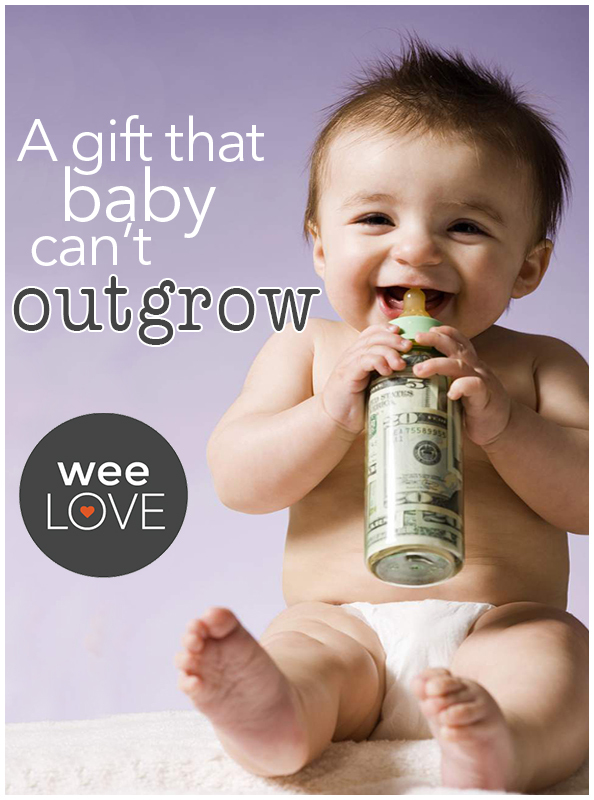 While swaddles and swings are great go-to baby gifts, an investment in the future is definitely another perfect present.